Interview Magazine is causing quite a stir in connection with a recent editorial. 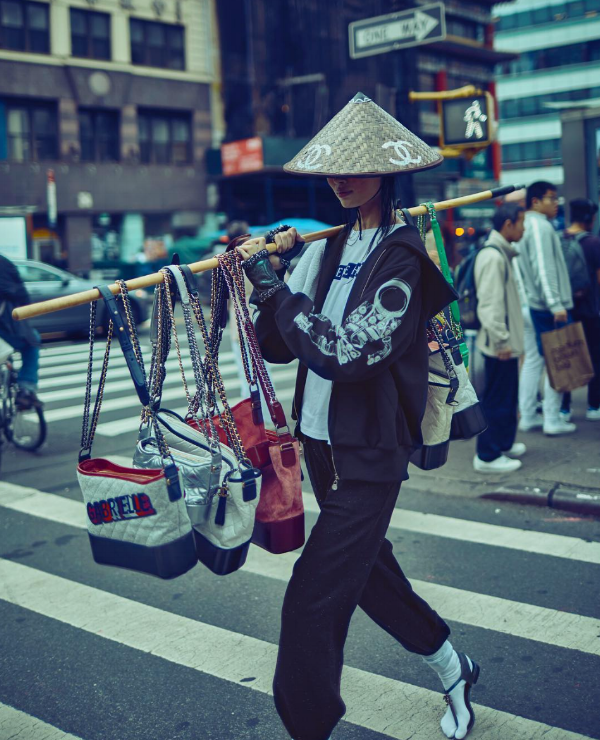 Social media users, including some well-known names in the fashion industry, have slammed the editorial – which futures model Xiaoyin walking down the street in Chinatown, New York wearing a conical hat and carrying Chanel bags on a stick – for being culturally insensitive. “I'm surprised Interview mag would commission something so clearly racist. Apparently, the only way they can make this image interesting to use racist stereotypes,” said one Instagram user, whose comment sums up the general tone of the responses to the photos, which photographer Billy Kidd posted to his Instagram this past week. 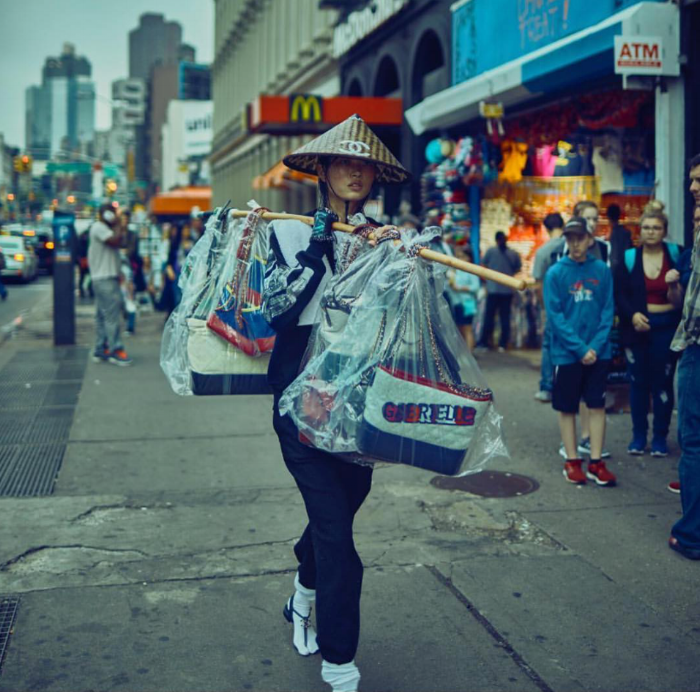 Photographer William Yan, who has worked with brands ranging from Oscar de la Renta to LEVI’s, first took to Kidd’s Instagram to comment on the “offensive” nature of the photos - which are part of a recent Interview Magazine print editorial, entitled, “Coco Served Hot," that highlights Chanel's newest bag range. Neither Interview’s fashion director nor Kidd provided comments on Monday.